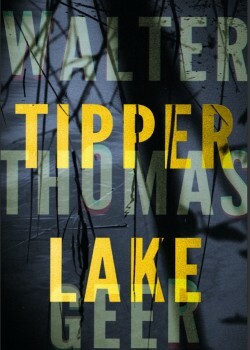 Tipper Lake by W.Thomas Geer is an original murder mystery set in Savannah, Georgia during the Cuban Missile crisis. The protagonist, NYPD detective Tyler Monroe, who is ‘on assignment’ with the Savannah PD, wears a second hat as an undercover agent for the FBI. In the best tradition of high-stakes mysteries, our hero becomes embroiled in the murder of a prominent political figure, while personal complications provide multi-layered plot threads, heightened suspense, and depth of character. In summary, Tipper Lake is an excellent mystery novel. The story moves along at a fast pace and high suspense, the characters are believable and interesting, and the facts unfold with clarity and plausibility. The author deftly balances the underlying, simmering dangers of violence and deep animosities, and while the resolution to the mystery begins to surface, new dangers simmer. This is a veritable page-turner that will keep readers at the edge of their seats until the unexpected, yet satisfying ending. Highly recommended!